“Welcome, welcome,” he says, ushering me into his home, his shoulder cradling an iPhone to his ear. He gives me a hug and I sling my bag on the floor, overhearing a thick Nigerian accent on the other side of the phone conversation. I look around at his suburban home and see my family pictures hanging on the wall, portraits and Christmas cards from years past taped near his easy chair. “My brother is on the line, from Benin City,” he says, motioning me to a leather couch. He returns to his phone and replies in Pidgin, a Nigerian-English hybrid language. I sink into the plush cushions. He cups his hand over the phone and whispers that his children are finally old enough that he and his wife could purchase nice furniture. Time moves quickly, he says. The man I’m visiting, Eric Idehen, is someone I’ve come to know as family. When I met Eric, I was a rookie reporter covering the business beat for a local newspaper. His energy caught my attention. Notebook in hand, I was tired of scribbling the same mundane stories. I made my way toward the corner of the room, where he’d drawn an audience. The light in his eyes and the way he threw his hands into every story he told distracted me from my assignment. “And that is how I turned my childhood home into Cornerstone of Hope Orphanage,” Eric said, sipping soda. A trio of suited men who worked in insurance nodded, and one of them asked for some clarification. “Excuse my thick Alaskan accent,” Eric laughed. I’d soon learn it was one of his favorite jokes. Eric might not be from Alaska, but he has lived just about everywhere else. Born in Benin City, Nigeria to an elementary school headmaster and a teacher, his beginnings were humble but hospitable. Along with his siblings, he lived in a home his parents built themselves—board by board over two years—after they got married. His parents had left the beliefs of their families of origin and forged a new path for themselves. “They were one of the first in both of their families to get married—their families were still practicing polygamy and paganism,” Eric says. After becoming Christians, his father changed his name to Gabriel and his mother chose Theresa. “Our tiny home provided shelter and the basic necessities of life. My childhood was very relationship-based. Our values were God first, family second, and then helping others,” Eric says. Villagers from Gabriel’s hometown would send their children to live with the Idehen family, hoping they’d receive an education. There was always room for one more. “They came to our home to do school work, they ate, they slept, and sometimes they never went home,” he says. This setting laid the foundation for Eric’s eventual legacy: providing a home for the orphaned and forgotten. Eric ends the call with his brother and eases into his chair, brushing away stacks of textbooks and computer cords. He has just had knee surgery, but the crutches don’t stop him from going at full-speed. In his mid-fifties, he’s finishing a doctoral program, studying organizational psychology and social change. 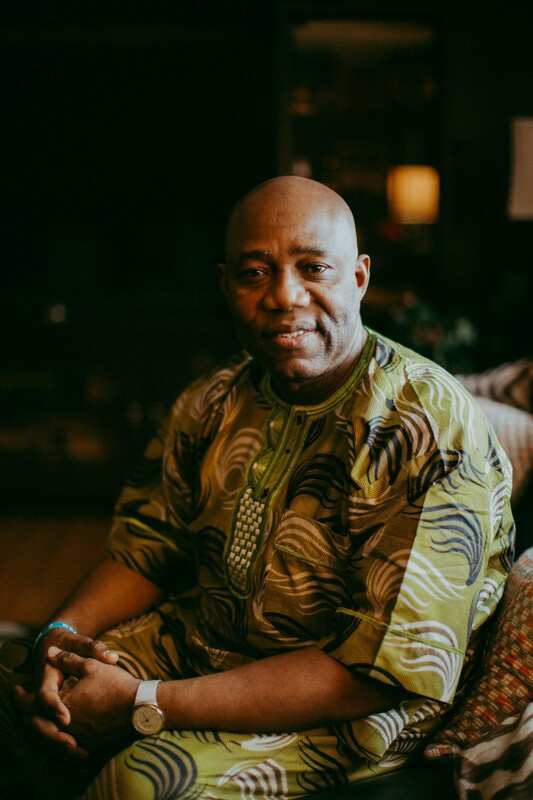 He works full-time in the banking industry, and in every spare minute, he pours into the true passion of his life—Cornerstone of Hope Orphanage, a 501(c)3 with a board of directors in Des Moines, Iowa and Benin City, Nigeria. It’s the home where my son, Joseph, spent the first year of his life before he joined my family through adoption. 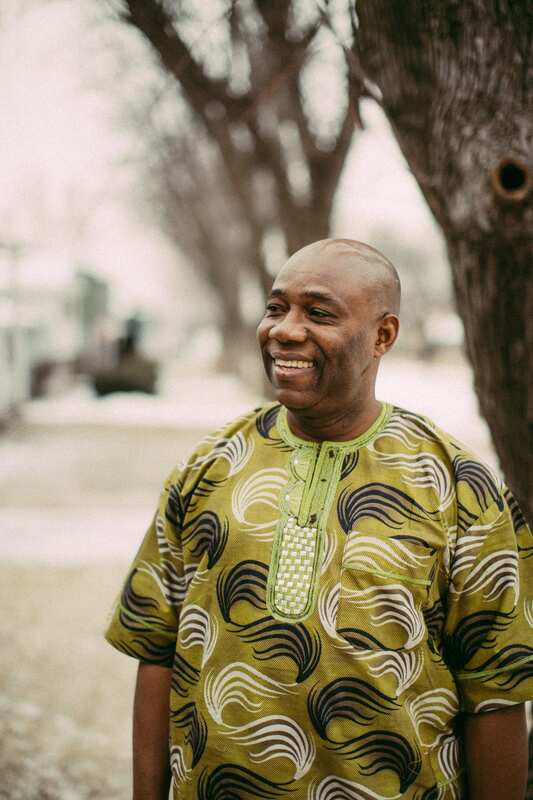 I ask Eric how he got from his Benin City beginnings to a small suburb in Iowa. He chuckles and folds his hands. With an education under his belt and a college diploma in his hands, Eric moved to Kyiv, Ukraine, spending five years working in real estate and construction. He left behind his college sweetheart Emily, but she had to finish her degree, and he was eager to begin a new life. It wasn’t long before he visited home and his parents asked for Emily’s hand in marriage. 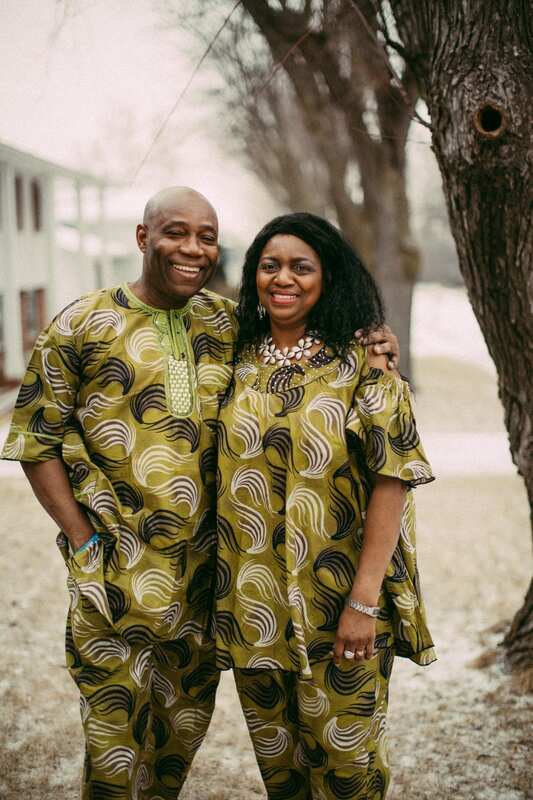 The couple had a traditional wedding in Nigeria, and Emily followed him back to Kyiv. The couple managed to find a Nazarene church in they city, the only English speaking church they could locate, which became a respite in a strange land. But even that wasn’t enough to shield them violence and chaos following the collapse of the Soviet Union, and Eric put in for a transfer at work. Soon, they were packing their few belongings and heading to Spain, where they’d start life all over again, with dreams of starting a family. They struggled to put down roots in Madrid as Emily did her best to make their rental a home. They could only afford a single room, a small ten-by-ten square meant to be a storage closet. Despite the cramped quarters, they were happier in Spain. As soon as they were settled, they searched for an English-speaking Christian church and were thrilled to find one not too far from their apartment. As they settled in, Eric and Emily visited their immigration lawyer for assistance in applying for permanent residency. As they waited in the reception area, a newspaper headline caught Eric’s attention. “Let’s do it,” he told his wife. Eric meticulously filled out forms for the Diversity Visa Lottery Program. Hoping they’d be out of their storage-closet apartment by the time he heard back, he scribbled Emily’s family’s address down as their permanent address. The following spring, Eric received a call in the middle of the night. It was his brother-in-law, shouting that he had received a letter: Eric had won the lottery. I balance my laptop on my legs and realize I’ve been chatting with Eric for almost an hour, and still haven’t taken many notes. I ask Eric how his knee is feeling, and while he describes a painful procedure, he pauses and waves his hand. I’m asking him for the origin story for Cornerstone of Hope Orphanage when his iPhone starts buzzing. Patrick was one of the first children brought to Cornerstone of Hope. His story isn’t mine to tell, but it was arduous, and it was heartbreaking. An adoptive family fell through, endless student visas weren’t granted, more children came and went, and Patrick grew into a young man, still waiting. And Eric, with a gift to see Kingdom hope where others see lost causes, never gave up on him. After multiple visits to consulates and embassies ending in tears, Patrick finally was granted a student visa to the U.K. in the fall of 2018 and is now a university student in London. I met Patrick when he was just a boy, the oldest child at the small, family-run orphanage. We have pictures of him holding up a chubby baby Joseph. He knew my son before I did. It’s a tender conversation between a son and his father. And official title or not, fatherhood is an honor Eric takes seriously. Once Eric recovered from the initial shock that he and Emily had been selected to immigrate to the U.S., they began the paperwork. In the meantime, he had experienced a shock in another way. Their prayers to start a family had been answered. Emily had already given birth to a son…and was expecting again. Two weeks before the Idehens’ visa date at the U.S. Consulate, their second son was born. In the midst of packing and preparing to move his growing family to their fourth continent, Eric checked the mail. It was a letter from the U.S. government, asking where the Idehens would resettle when they got to America. Eric had no idea what to write. But the U.S. needed an answer before the Idehens could travel. Eric remembered an American friend he had met at church in Spain. He gave him a call, asking for ideas for a quiet city in the U.S. But quiet was just what Eric and Emily were hoping for. Eric’s friend offered to make a call to his pastors at his church in Des Moines, hoping they’d be able to make a connection. It was a large Lutheran church, a denomination Eric wasn’t familiar with. “I asked my friend, do you believe Jesus Christ is the son of God?” Eric says. His friend said yes, and the church body back in Iowa ended up showing it with more than just their words. They helped the Idehens cover the cost of plane tickets and were at the airport to receive his family on September 7, 2000. “I felt like an ambassador. They took us to an apartment where there was food in the fridge, brand new clothes in the closet,” Eric says. Church members took Eric and Emily shopping, teaching them where and how to buy groceries. They provided around-the-clock rides as they acclimated to their new surroundings. But the transition wasn’t easy. Eric struggled to find work and ended up washing dishes as a local grocery store. After months of dutifully washing dishes, he met Diane, a customer at the grocery store deli. She also managed a branch of the bank where Eric and Emily opened their first account and remembered his family. Diane offered him a job as a bank teller and Eric accepted gladly, settling into the new rhythms of life as a employee, husband, and father. Eric and Emily’s prayers to grow their family were soon answered—again. They reflected on their prayers and promise to God to adopt if they were able to conceive. 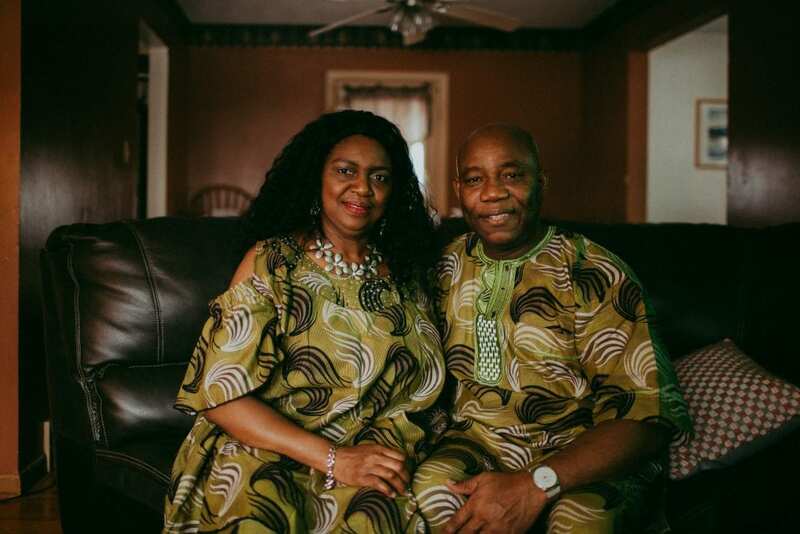 They weren’t sure if their home could hold three more children, so they decided to support three orphaned children back home in Nigeria. Eric flew back to Nigeria to visit family and decided to visit the children at the state-run orphanage. He still has a hard time putting words to the conditions. Children were naked and dirty. “The orphanages were not doing the right thing. I saw it with my eyes. I experienced it,” Eric says. He says locals refer to it as the “orphanage business”—a phrase that makes him sick to his stomach. He recounts grotesque stories of child trafficking, corrupt officials, and price tags on children. He voiced his concern to his parents, Gabriel and Theresa. “My dad said you know, you’re my son. You need to start your own orphanage. I know you will do this well,” Eric says. “He was a man of few words and for him to say this…it kept coming back to me. Eric returned home to Des Moines to three boys—Enrique, Edward, and Elliot—all in diapers, and his wife, who chased after them. Eric received promotions at the bank, but their single income kept things tight. Still, Eric couldn’t shake the exploitation and unspeakable conditions in state-run and federally-funded orphanages. His father’s words rang in his ears. He felt led to create a safe and sustainable environment where abandoned children were cared for in a Christian setting with dignity and compassion. Not long after, Gabriel passed away. As is tradition, Eric received his childhood home as the eldest son. Inspired by his father’s legacy, he knew what he had to do. He had no nonprofit experience and even fewer dollars in the bank. In 2006, Eric returned to Nigeria to oversee the building of his newly minted nonprofit: Cornerstone of Hope Orphanage. He chose the name from Matthew 21:42: The stone the builders rejected has become the cornerstone; the Lord has done this, and it is marvelous in our eyes. Eric’s personal financial risk to turn his childhood home into a small children’s home paid off. Cornerstone of Hope Orphanage is now a fully operating nonprofit, supported by donations from individuals in the U.S. and Nigeria, and has found safe, permanent homes for 76 children—63 of whom were adopted in Nigeria. Eric knows each of them by name. It’s a place where local men and women are hired as nannies and directors: Cornerstone of Hope employs five full-time staff members. It’s a place where a nonprofit board of local Nigerian leaders comes together to prayerfully care for the children and the organization. Where neighboring churches in Benin City link arms, sending volunteers to give the children one-on-one attention. Not once, but twice, Cornerstone of Hope received a national award naming it the best orphanage in Nigeria. “It’s also challenging. We get pushback from other proprietors of orphanages saying we’re trying to mess up their business. They complain that we don’t charge money for children, that we’re trying to mess up their business because they do,” Eric says. In many ways, Cornerstone of Hope is a family affair. 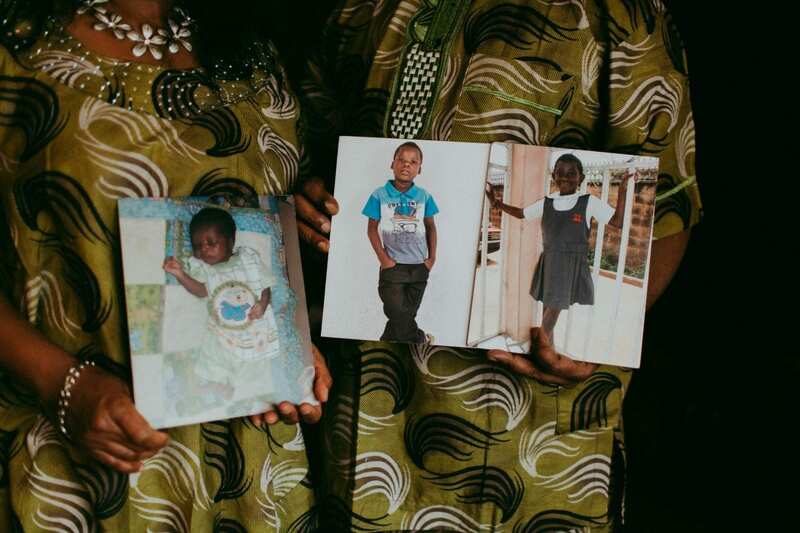 Eric’s brother and sister-in-law, Osarabo and Tosan, pour their lives into the orphanage. They’re unpaid volunteers but have become family to the 23 children who currently live at the orphanage, who were brought in because they have no living biological family or due to unsafe living conditions. Eric is now vice president of community development at Wells Fargo. He’s a proud father of four—he and Emily adopted their daughter Devine from Cornerstone of Hope. I hear Devine come in the side door, home from school and ready for a snack. We finish our interview and before I go, he recounts a conversation he had with a friend, a priest of a Catholic church in Benin City that supports Cornerstone of Hope. Turning 50 is a milestone in Nigeria. His friends and family wanted to celebrate when Eric visited Benin City, but he hoped for something different. My cell phone buzzes, and it’s a picture from my son Joseph. Eric believes in God’s perfect timing, and after spending an afternoon with Eric, I remember that I do, too. Kayla Craig believes in the power of story. Passionate about making the more beautiful world, she brings a journalism background to her belief that love is worth the risk. Along with her husband, she’s raising four young kids who joined her family via birth and special needs adoption. She’s stubborn in hope and has a penchant for deep mugs of coffee, deeper belly laughs, and even deeper questions. 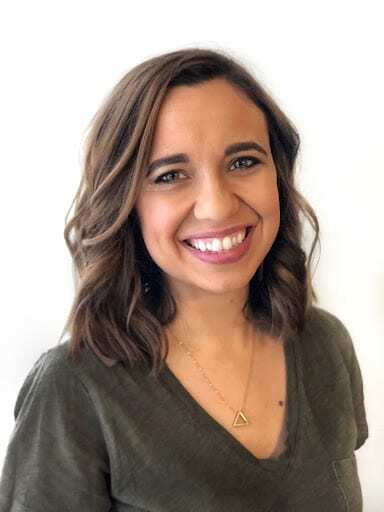 She works with Preemptive Love Coalition’s communications team, and is the co-founder and host of Upside Down Podcast, a place for conversations on spirituality and culture. Follow her @kayla_craig.